End of the growing season and time to take stock. Of the 100 blackberry bushes we planted, we lost 3. We had trouble keeping the chickens off them when we first planted them, and thought we were going to lose a whole bunch. Happily, most of them bounced back from the constant nibbling. Our source for those was Berries Unlimited in Arkansas. Of the 50 blueberry bushes, we lost 4. Think the issue there is we should have watered a bit more. No complaints, though. Got those from Berries Unlimited. 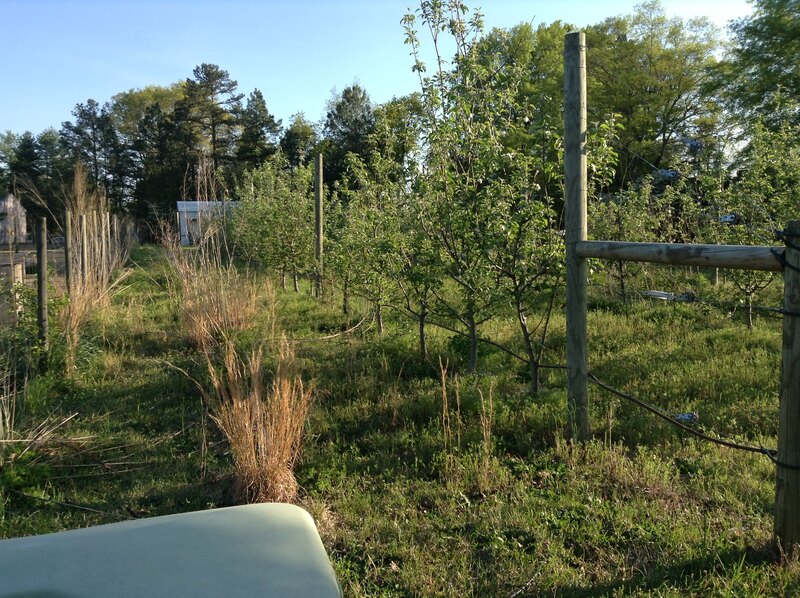 Of the 60+ apples we planted this spring, all our doing fine. Source was Van Well Nursery in Washington State. Of the 100 raspberries, we lost over half. I'll take the blame for that. Allowed the grass to choke them out and didn't water them enough (couple long dry spells and I was too stingy with the irrigation). The ones we planted last year did much better. Source was Nourse in Massachusetts. Of the 100 strawberries, most did great. We let some of the fruit because we wanted to sample they different types we planted. They were the best berries I've ever had in my life. Got those from Nourse. Now we're coming to the realization that the density of everything we've put in is making it hard to use the tractor as much as we used to. This winter we'll get everything done that requires the tractor and larger implements, sell those late winter/early spring, and get a BCS. This is awesome. Great work and thanks for keeping us updated. Will you do PYO next year or will you have to wait another year? May be able to do blackberries next year. Apples and blueberries are both a couple years off. It's been a couple months since my last update. In December my wife and I decided it was time to put up a greenhouse. We selected a 30ft x 72ft model from Farmtek. It has double layer plastic sheeting with polycarbonate ends, roll-up sides, and a propane burner. We'll plant directly into the ground on one half and finish the other half with concrete pavers for growing seedlings, microgreens, etc. Over the length of the greenhouse the ground drops 18-20 inches. We hired a landscaping company to level the site by scraping the high end and doing the crush and run thing on the low end. We finished the rafters, purlins and baseboards this week. We hope to have everything done by mid April. We're installing it by the road because we have good access to sun there, and we wanted it to be close to where the roadside produce stand will be. That will allow us to work close to where we will be receiving customers and it allows the greenhouse to function as a sort of billboard because it is so visible from the road. The greenhouse is in the shade in the accompanying photo because it's about an hour before sunset. looking great, Thanks for the update. I want to talk about zoning ordinances and how they have influenced the design of our property. We're in what's called the extra-territorial jurisdiction (ETJ) of Broadway, North Carolina, in Lee County. Which is to say, we are located outside the corporate limits of the town itself, but we are subject to the zoning ordinances of both Lee County and Broadway. 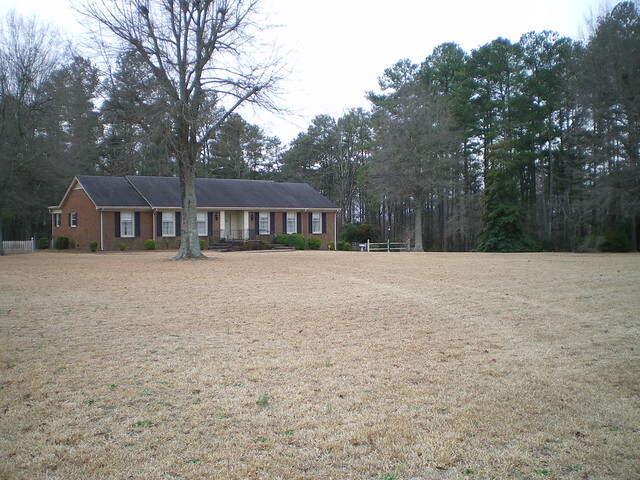 We are on property that is zoned low-density residential. We are not, however, zoned agricultural. When we moved here in 2011 we told the town manager what we intended to do with the property and he gave us the appropriate extracts from the uniform zoning ordinances of Lee County and Broadway. First restriction: all livestock must be fenced so they are no closer than 200ft from any residence, to include our own. 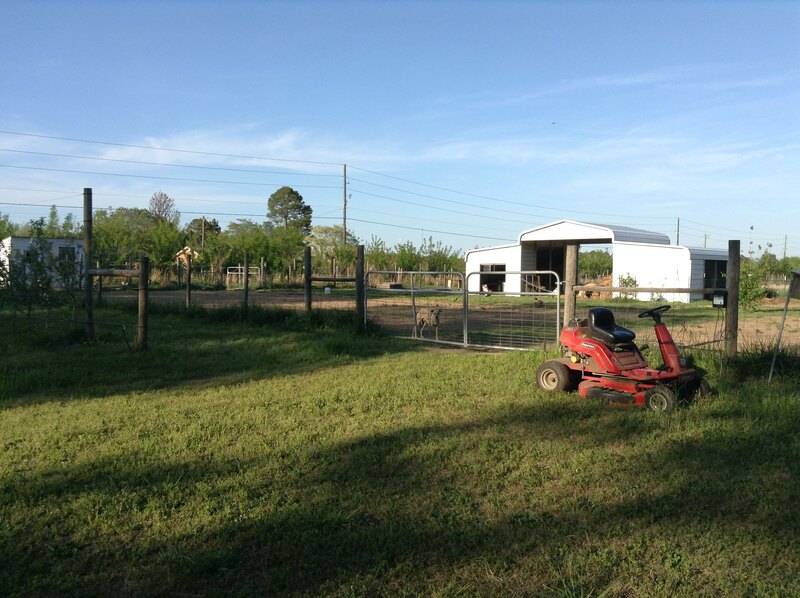 Second restriction: stocking rate for livestock is no more than two per acre (we're on 4.6 acres so that means up to nine, and the ordinance treats a goat and a Clydesdale as one in the same). 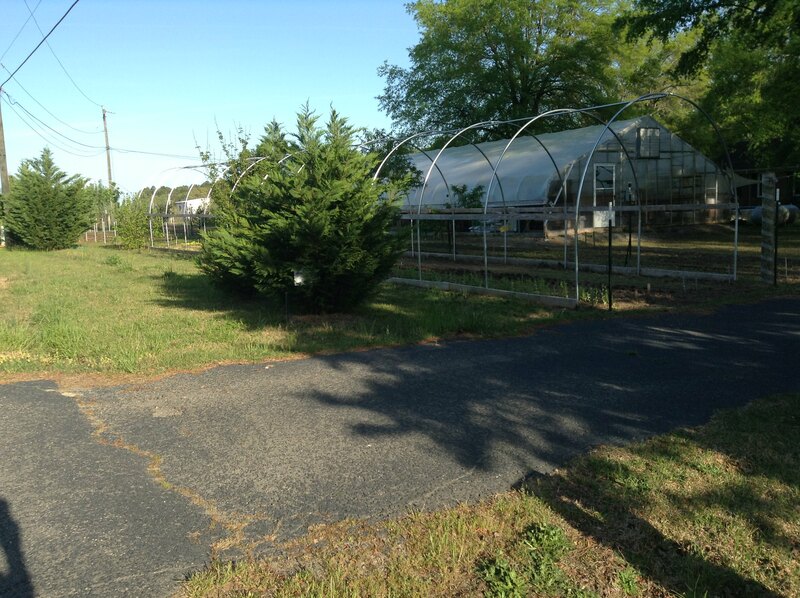 Third restriction: no commercial greenhouses. Fourth restriction: produce stands are allowed on "bona fide farms", but only if they sell what's produced on site. And the fifth and last restriction I'll mention here: certain out-buildings are subject to code enforcement. In 2014 the North Carolina General Assembly passed legislation that (gasp) helped us, a lot. 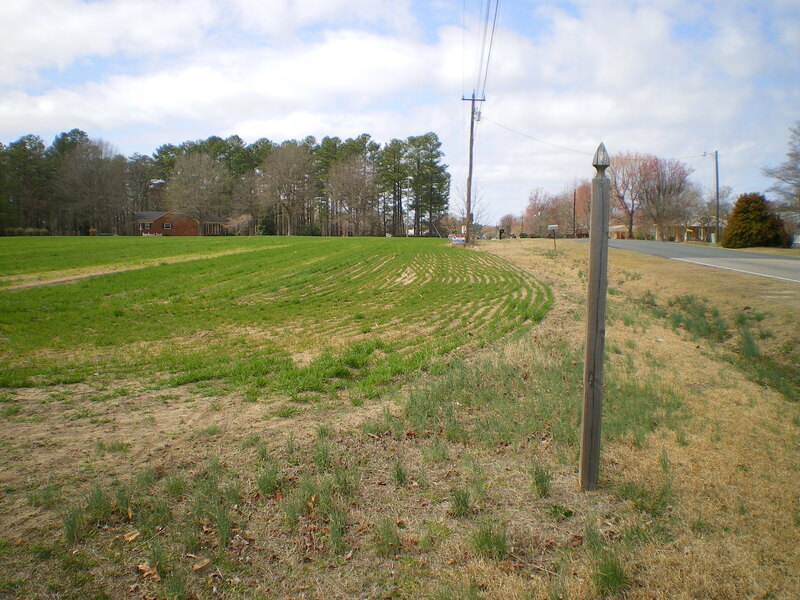 They clarified the previously murky topic of what it takes to be a bona fide farm, and they clarified that only the State has the right to regulate agricultural activities on bona fide farms, and that counties, cities, and towns have NO authority to limit agricultural activities outside of the corporate boundaries of cities or towns, and strengthened the right to farm laws. 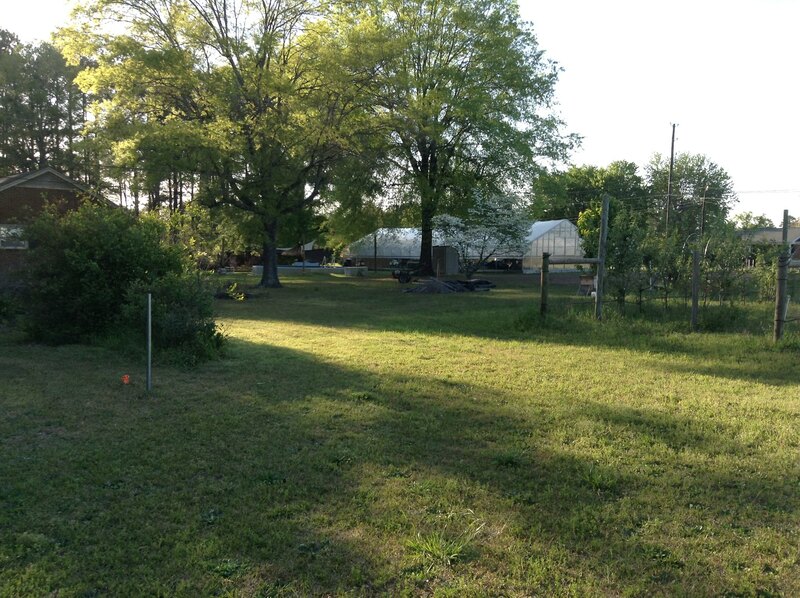 They also declared that out-buildings used for agriculture are largely exempt from code enforcement (this includes greenhouses). 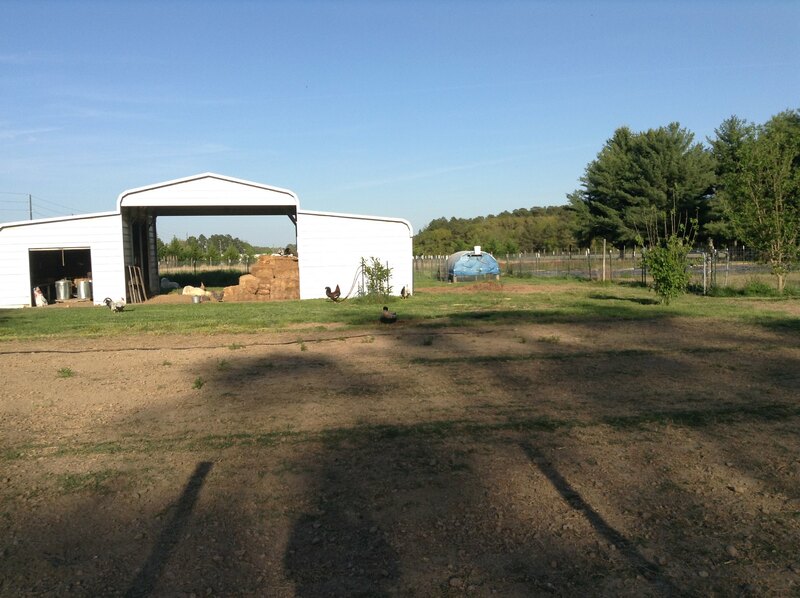 So we became a bona fide farm by adopting two of the means specified by the State (only one is required): we filed a schedule F (report of farm income) with our federal tax return and we obtained a Farm Service identification number. Instant farm, at least where North Carolina is concerned. Here's what changed. The stocking rate for our livestock is now limited by our good judgment and respect for nuisance laws. 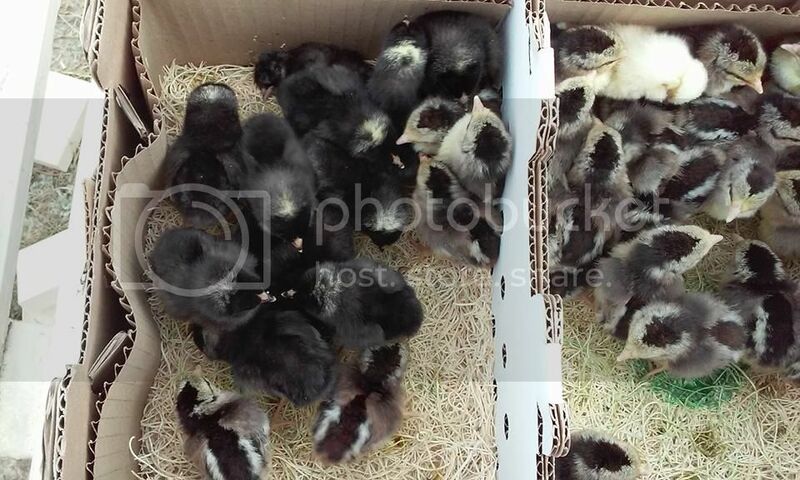 We can raise, process, and sell up to 1,000 chickens on site per year without any kind of inspection. 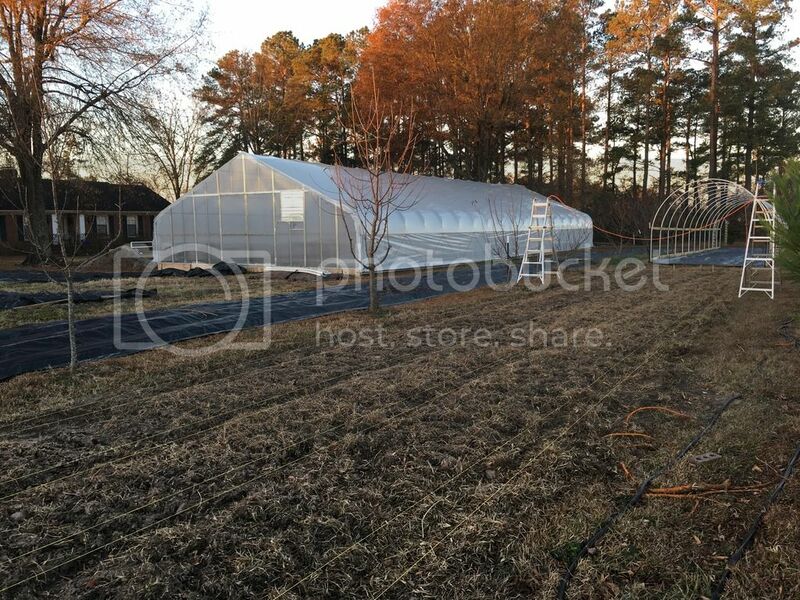 We can install and operate a greenhouse that's as large as we want as long as its used for agriculture. 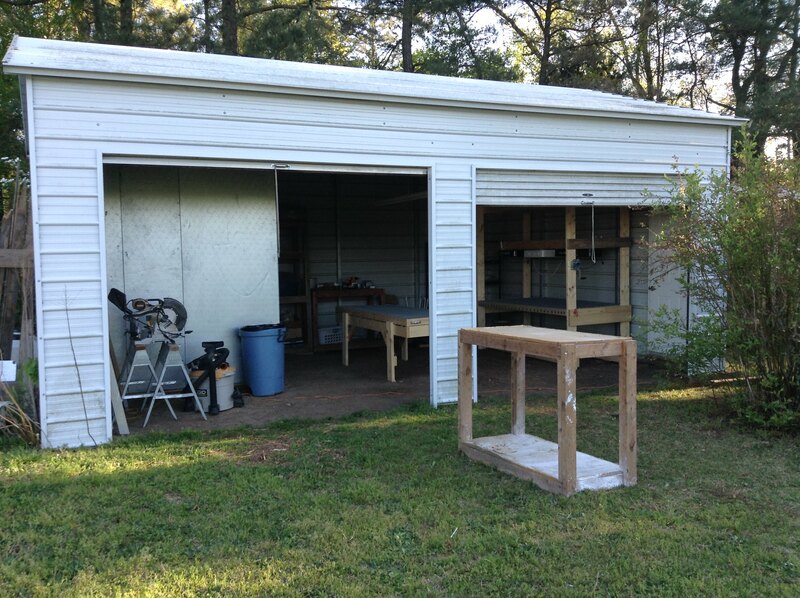 We can build and operate a farm stand that's up to 1,000 square feet. 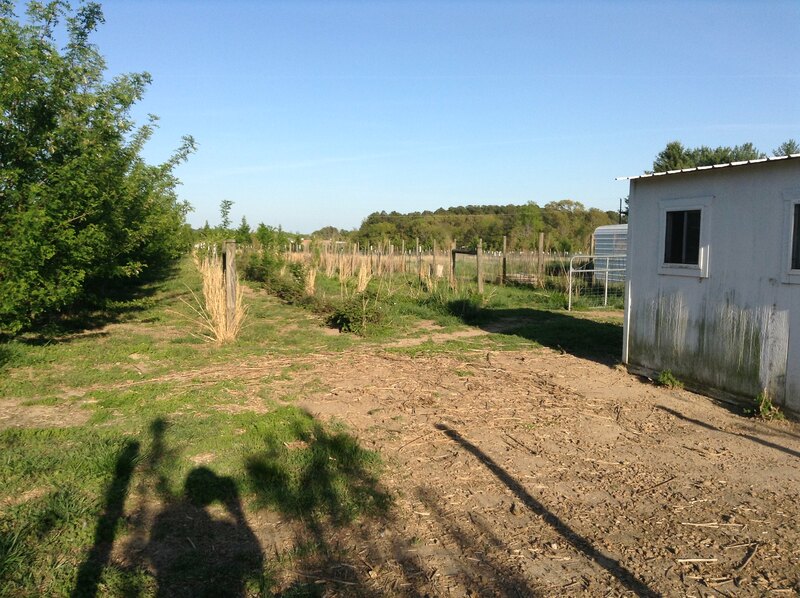 We can conduct retail sales from the farm stand up to 180 days per year with the only burden being we have to register as a certified Carolina produce stand (one page form that adds the farm to a registry for marketing purposes). The biggest change, though, is we are protected from the county or town ever annexing us into the corporate territory of Broadway and shutting us down. That provides peace of mind and wide latitude on what we can do. Along the way we have checked in with the county planning board on what we've done. It's happened a time or two that the staff quoted outdated codes to say we couldn't do what we wanted and we've pointed out the current language and they've said yup, we can do what we want. Operating legally and above board is important where we are. 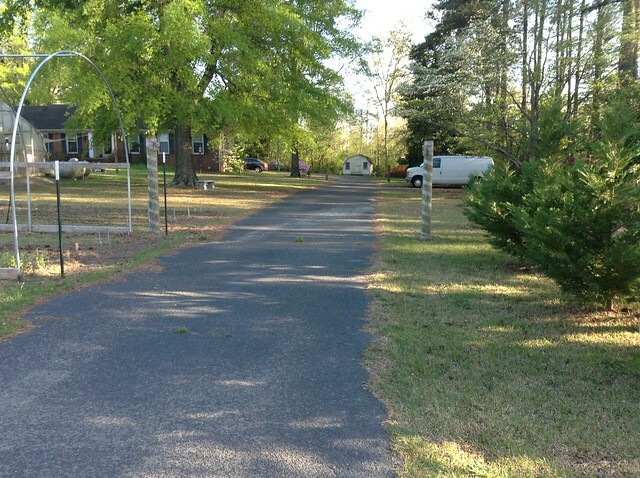 We're on Main Street, one lot outside the corporate territory of Broadway, one half mile from the town office. The entire town drives by our house every day. We can't hide what we do because we're always on display. 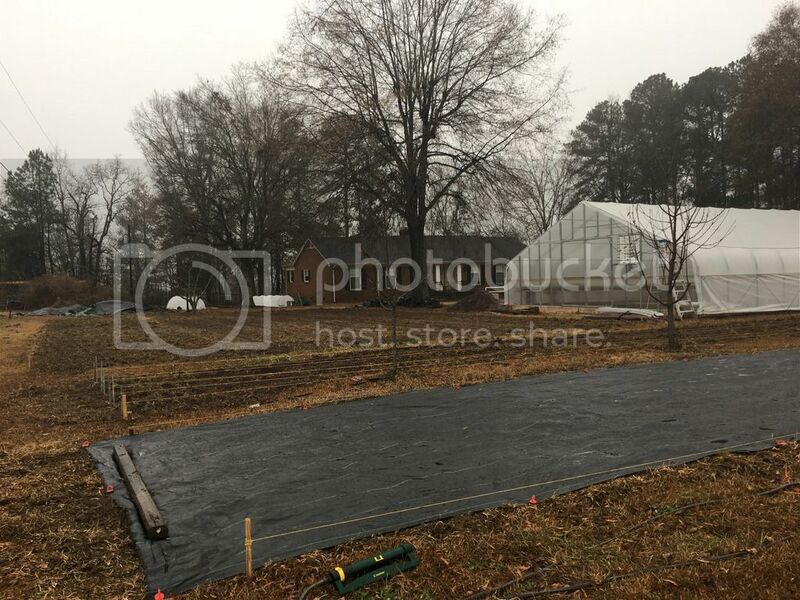 We finally finished construction of our 30ft x 72ft greenhouse, Structure was done last fall, but it took until last week to add electricity and propane. 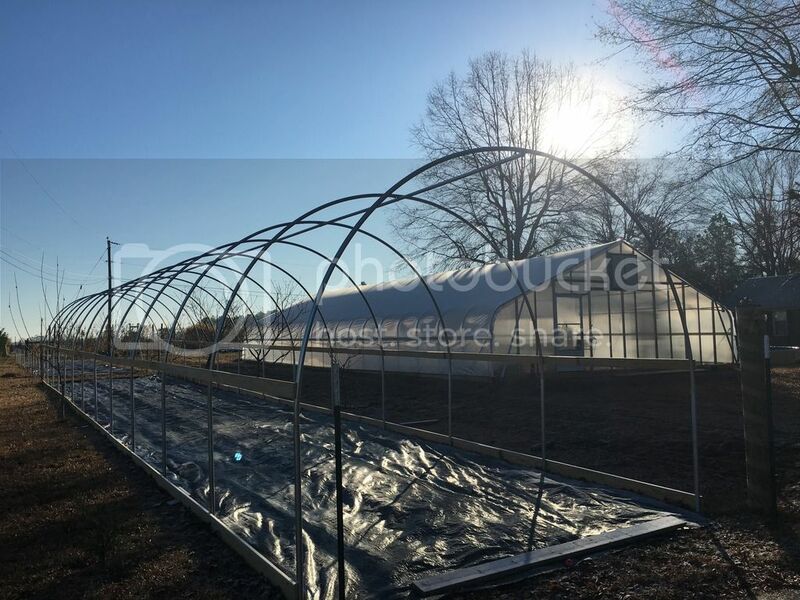 We also started building two 12ft x 72ft high tunnels using chain link top rail; these will get shade cloth in time for summer. And now we're getting our beds in for the market garden. We're going with standardized plots that are all 12ft x 72ft. Each of these has three 30" wide beds. Total of 15 such plots. 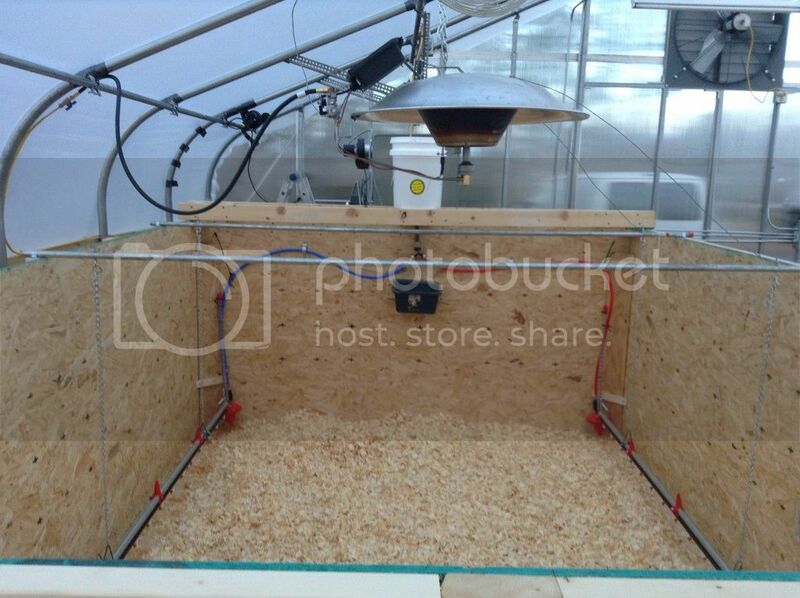 Also, last week we built a brooder in the greenhouse and promptly filled it with 60 Dorkings and 30 Barred Rocks. It is looking good. A farm is never built in a day, keep plugging away at it. 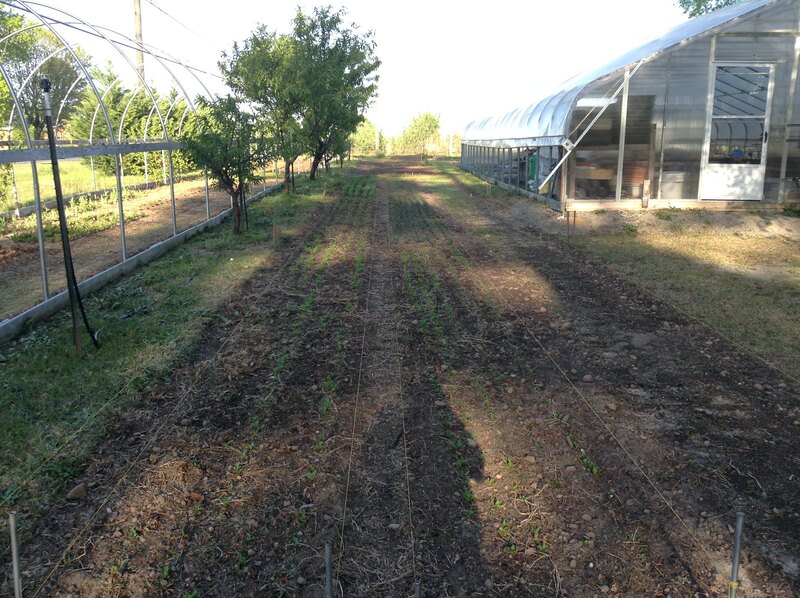 -System of standardized plots that are 12ft wide x 72ft long; each plot has three 30" beds. 15 such plots are permanent and 32 are divided into 8 paddocks of which one paddock is put into crop production each year. GSD at my own pace. Looks great! I'm slowly chipping away at mine. It's awesome to see someone making so much progress. Where does the time go? Can't believe my last update was the video I posted to YouTube a year ago! 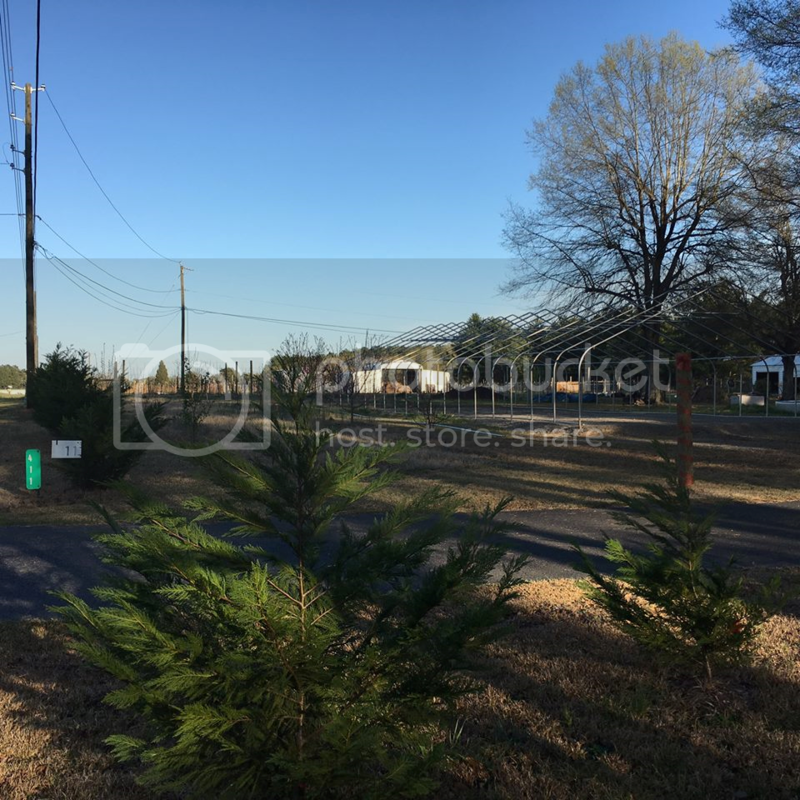 For your viewing pleasure, I've posted an updated schematic of our property, along with pictures I took this past Saturday (21 Apr 2018). 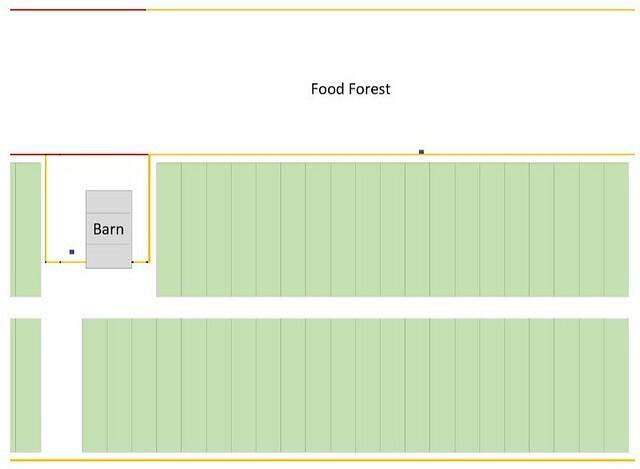 Everything in the schematic exists, with the exception of the produce stand, which is still in the concept/design phase. 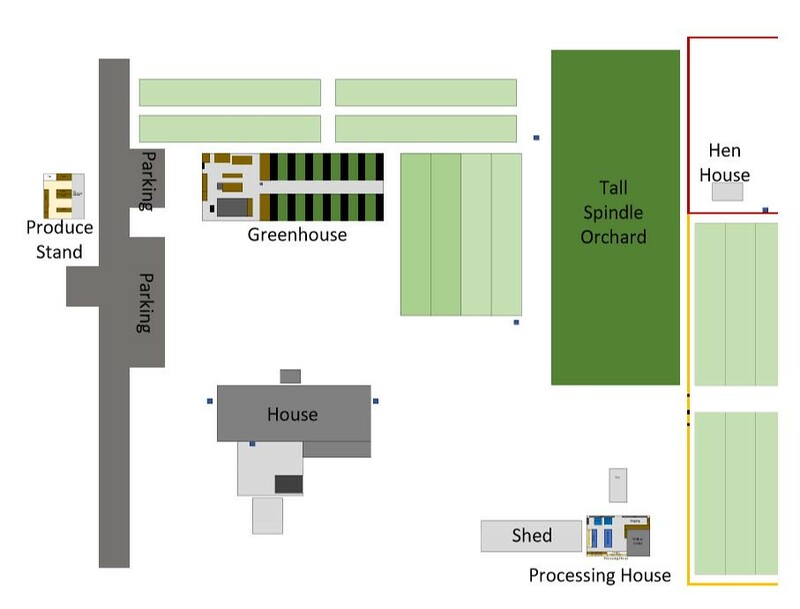 All the light green rectangles are our standardized gardening plots, 12ft by 72ft, total of 57ea for 1.25 acres of growing capacity, which does not include our half-acre food forest, quarter-acre tall-spindle apple orchard, of 30ft x 72ft greenhouse. About as much as one guy can keep up with! These past few weeks we've been equipping one of our metal outbuildings as a processing house, with 8ft x 11ft walk-in cooler (with 15,000 BTU AC and Coolbot) along with the washing table and drying rack Curtis Stone shows in his videos. 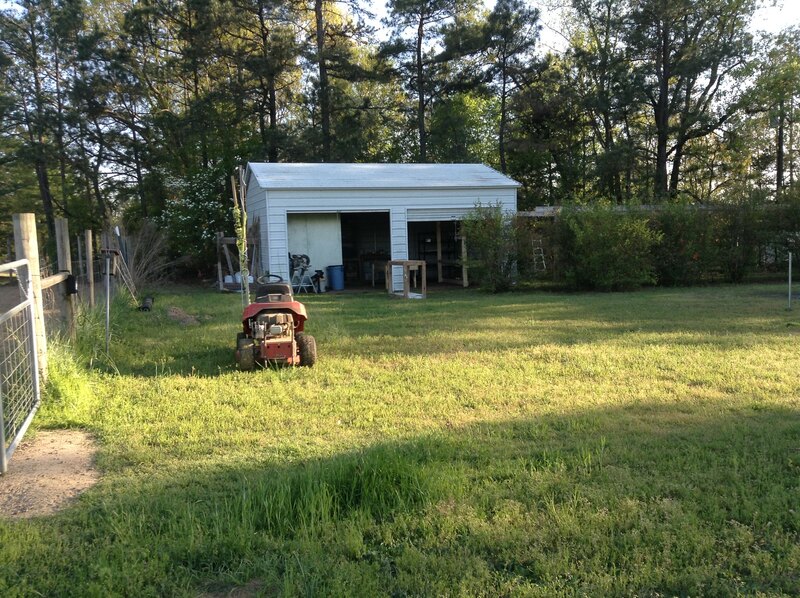 For anyone who asks, I am now a self-employed farmer. I retired from the Army last October and took a job as Chief Operating Officer, which I left at the end of February so I could farm full time. We will celebrate the grand opening of our produce stand on May 12. 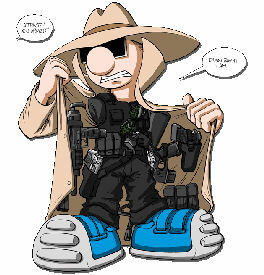 +1 Dave... I'm loving watching all your progress over the years... absolutely fantastic! This is how it looked when we started this journey 7 years ago. Talk about a blank canvas! 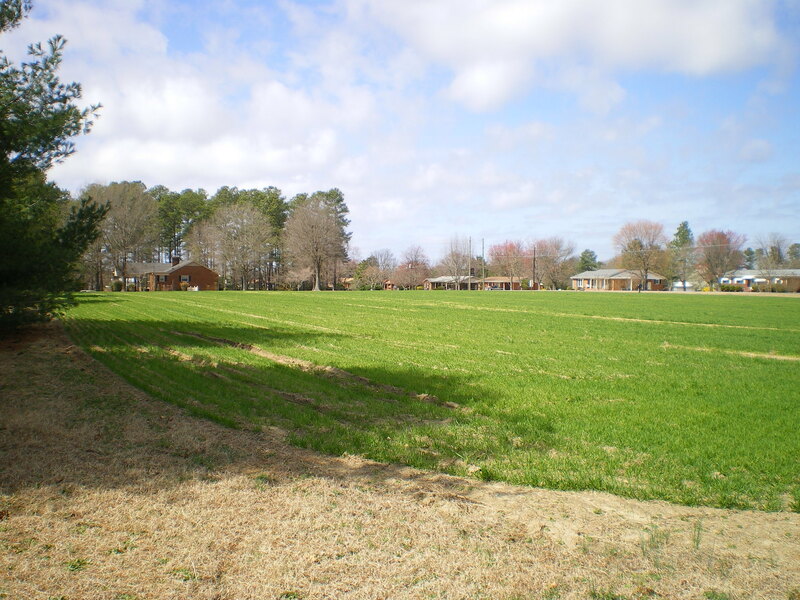 Field was being leased to a farmer who raised tobacco, soy and wheat. There were chemical burns in the field from the pesticides and herbicides he used. I plowed up the whole field that first summer and didn't find a single earthworm. Different story now. And our livestock was critical to rehabilitating the soil. Last night I sent Jack the information he takes from people who want to be a guest on his show. We have experienced enough of the good and the bad developing our homestead that it should make for a decent hour of programming. Fantastic... please let us know on this thread if/when you are scheduled... would love to listen to your story particularly. Looks awesome. Marking for later reference. Congrats, Dave. Looks really nice...and productive. Good work, and enjoy what you've accomplished. I just heard back from Jack (Dorothy, actually). Our interview is scheduled for 30 May, broadcast TBD. I'm super stoked! Whoo hoo!!! Fantastic news. remind us when you get a broadcast date and maybe even post the link here in the thread? Just finished the interview with Jack. Jack said it will be up on TSP this afternoon.